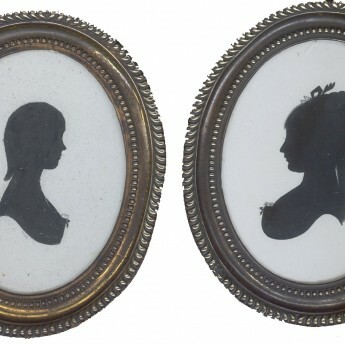 This is an interesting pair of eighteenth century profiles painted by a young lady whose career as a silhouette artist was illustrious but short-lived. 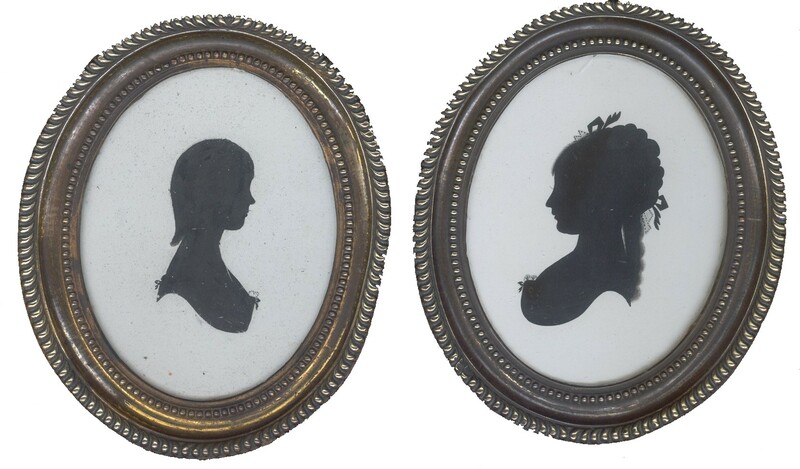 The silhouettes portray two young Scottish sisters, Janet and Anne Ramsay from Barnton near Edinburgh. Janet is shown with mid-length hair and is wearing a dress decorated with small ribbon bows on the corsage and shoulder. 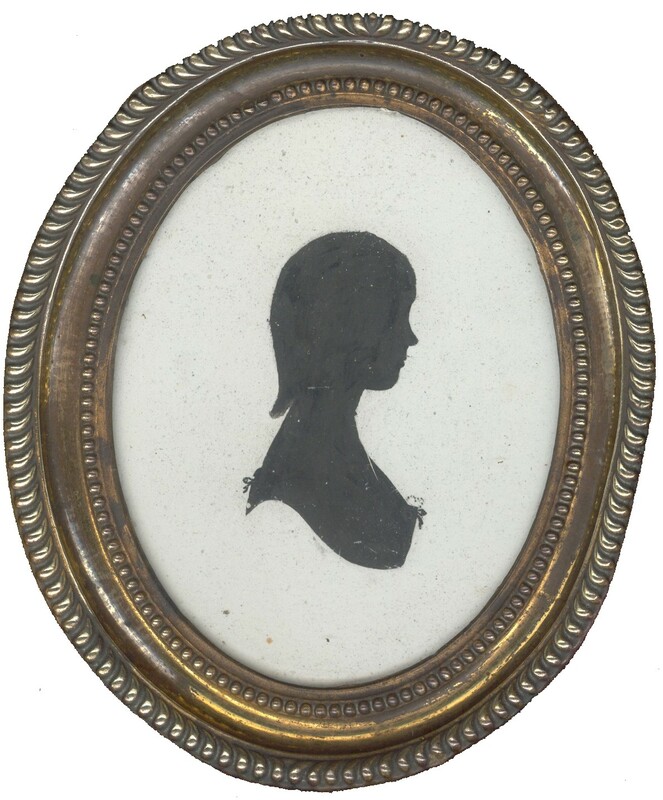 The profile of Anne is more finely painted with greater detail including an eyelash. Her long hair is attractively arranged in a long plait decorated with ribbon bows and she has a delicate frill on her corsage. 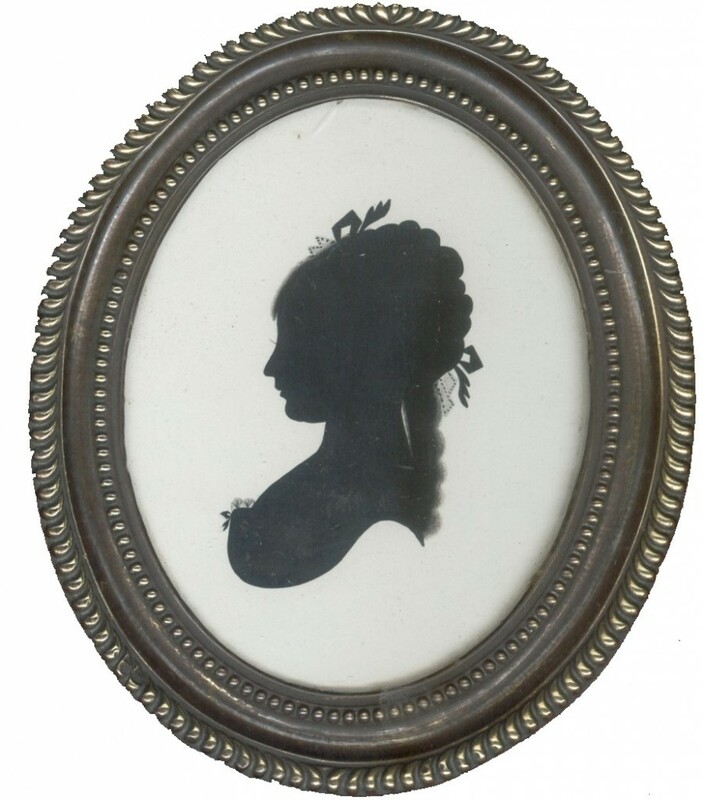 Both silhouettes are painted on plaster, one surface having been more smoothly prepared than the other. Good overall condition. 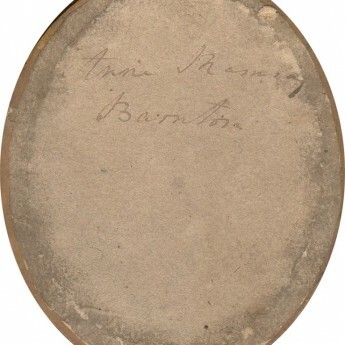 Frames: They are housed in the original matching brass-faced frames. 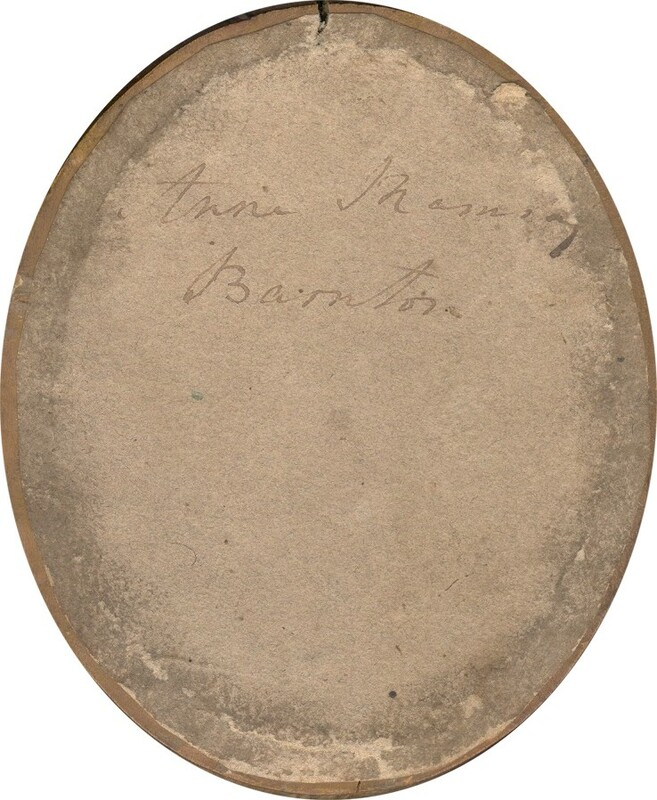 One frame – that housing Janet – is backed with the artist’s unbroken trade label. 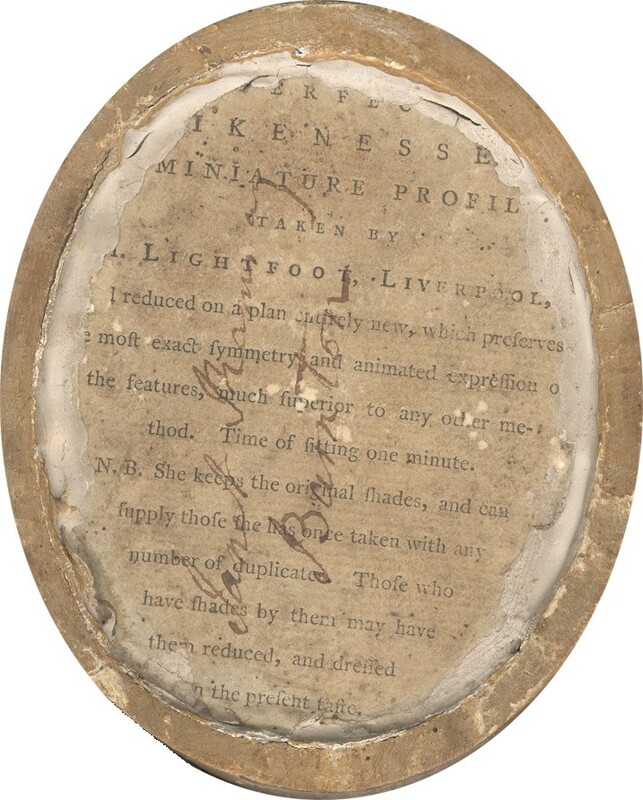 There is a short crack on the underside of the glass (just about at 12 o’clock) covering Anne and dust under the glass of the other one. 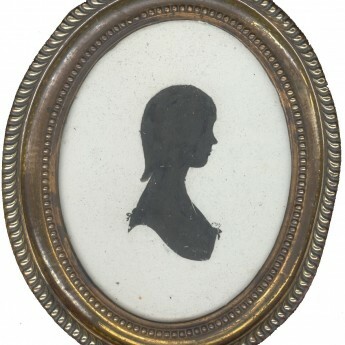 Artist: It was an eight-month stay by John Miers in 1785 at her mother’s house in Liverpool that prompted Mary Lightfoot to paint silhouettes in a similar style. 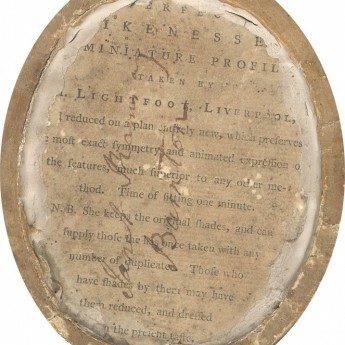 She travelled to Glasgow and Edinburgh where she apparently exhibited some of Miers’ work as her own prompting Miers to take out an advertisement to publicise the scam and to denounce her work.